Yeah..like for shoes!!! Doesn’t matter that I am no longer among the living but I loveeeeeeee these shoes and boots from Wicca’s Wardrobe at the Spookzilla Hunt Event! 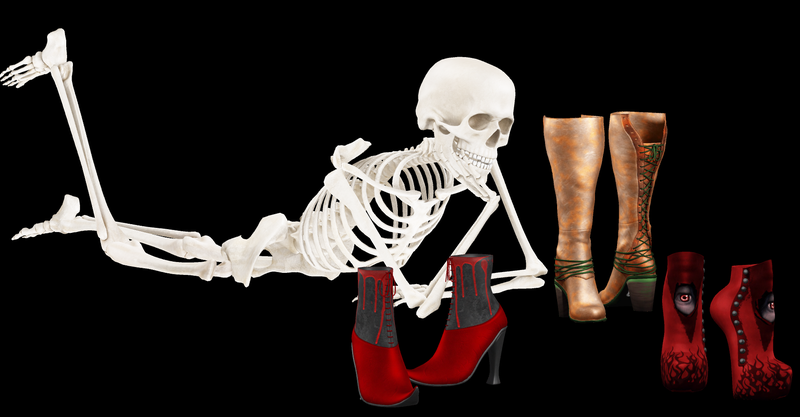 You can find these awesome, come back from the grave for, wickedlicious Gypsy Boots, Vicky Booties, and Witch Booties, at this year’s sim wide Spookzilla Hunt Event! Check out the other amazing gifts, from Wicca’s Wardrobe you can hunt for! 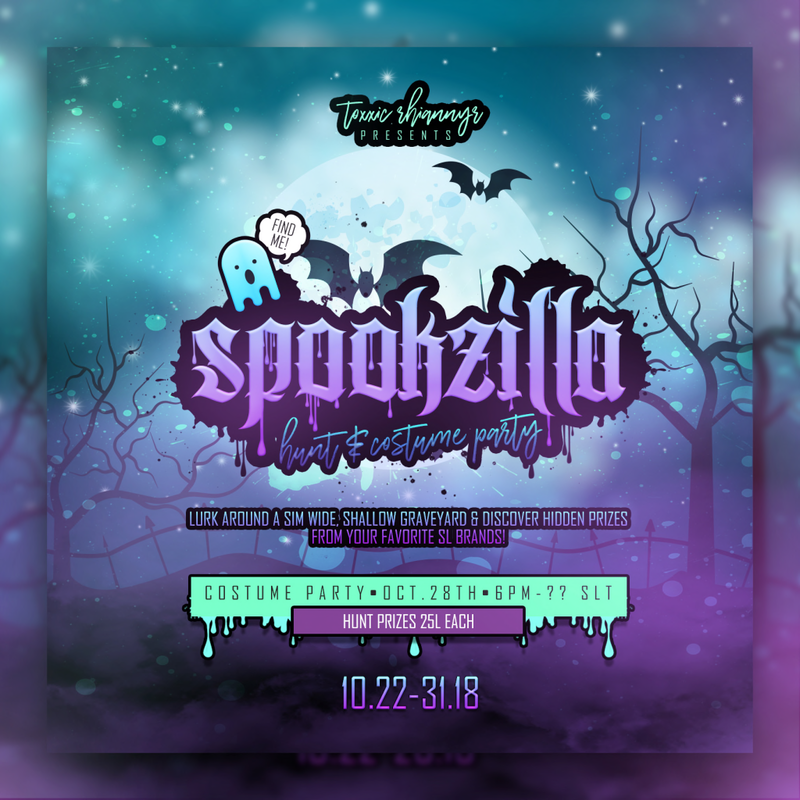 Spookzilla is a sim wide scavenger hunt where your favorite designers hide prizes in a shallow graveyard. This year’s event will last 1 full week & include more than double the amount of stores from previous years. This hunt is marked HARD! We hide tricky and hold the clues hostage! You MUST be a skilled cammer & have a GREAT amount of patience to partake in this event. All prizes are 25L or less & welcome gifts will be available at the landing area!